Here’s a new, super simple recipe for your crockpot: Apricot-Ginger Chicken. 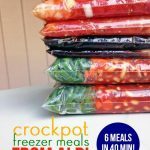 To make it, all you need to do is combine a mere six ingredients in a gallon-sized bag and freeze for a busy weeknight. Dinner doesn’t get any easier than this, my friends. This crockpot apricot-ginger chicken is a twist on my ginger-peach chicken recipe. I was actually planning to make the peach recipe, but ALDI only had apricot jam, so this new recipe was born. The final product is sweet, savory, and delicious. 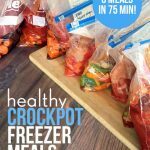 I’m including the directions below to freeze the meal raw, but you can certainly skip this step and cook it right in your crockpot instead. 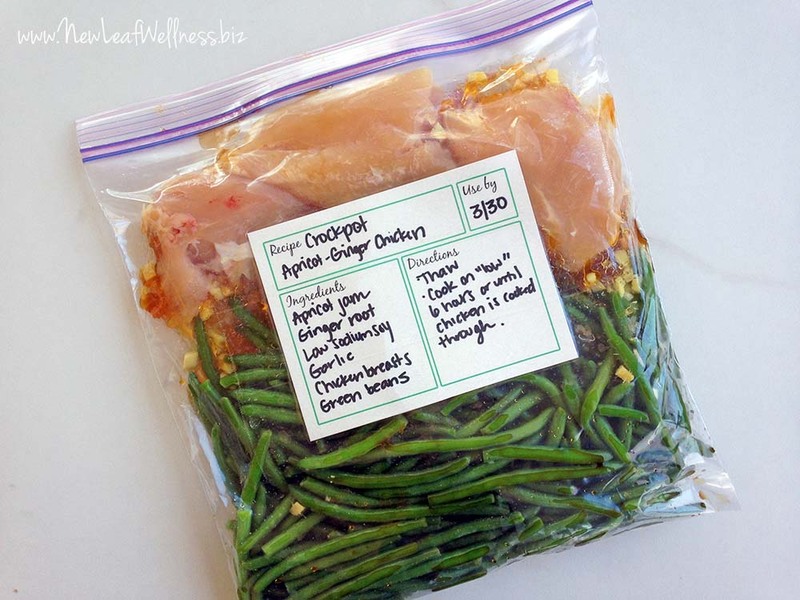 Combine all ingredients in a gallon-sized plastic freezer bag. Remove as much air as possible, seal, and lay flat in the freezer for up to 3 months. Thaw overnight in refrigerator or in a bowl of cold water. 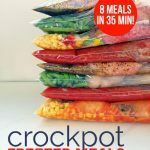 Dump into crockpot and cook on “low” setting for 6 hours or until chicken is cooked through. Do you find your green beans end up overcooked if you put the in the slow cooker from the start? Thanks! Yes. I’ll never do that again. Thank you for this recipe! I’m looking to plan ahead and have meals made. Found you from Pinterest. I purchased one of your cookbooks today, no cook freezer metals. But I have not recieved the e book yet. I know the PayPal went through. Where is my book? Hi Melissa. It must have went directly to spam or gotten lost in cyberspace somewhere – I’m so sorry about that! I just sent a copy to the outlook email address that you entered with this comment. If you don’t get it, send me an email at kelly@newleafwellness and I’ll respond with a new copy asap. Thank you for your purchase! Can any of your meals be cooked in the oven? Hello! Thanks for the recipe. Do you have any advice on how to keep the chicken moist? This is the second crock pot recipe I’ve made using chicken breast and both of them have turned out with great flavor but horribly dry chicken. I cooked this recipe on low for only 5 hours and still had the same result. After a bit of googling it seems many people recommend only using thighs since they are more moist, but so many people seem to have success with chicken breasts as well. Would appreciate your thoughts! Chicken breasts work well (for me) when cooked on high for no more than 3-3.5 hours with adequate liquid in the crock pot. Good luck! Could you use pork vs chicken in the apricot chicken recipe? Yes, definitely. Pork would be delicious. My favorite cut for the slow cooker is pork shoulder roasts (sometimes labeled “Boston Butts” or “pork butts). I just emailed you new copies of the eBooks. I’m so sorry for the delay! I’m not sure what happened to the first set, but I’m looking into it. I apologize for any inconvenience.